Fortunately, most tenants behave well, and the year goes by uneventfully. But not always. For those times when tenants becomes a problem, landlords need their lease agreement to stand up to the test. 1. The names of the occupants in the rental don’t match the names on the lease. It seems simple, but this is a frequent problem for landlords looking to enforce a lease to collect unpaid rent or evict a bad tenant. In order to enforce any provisions in the lease, each adult occupant should be listed as a tenant. In addition, each of those occupants have to sign the written lease. Otherwise, a landlord may not be able to enforce legal rights, or easily reclaim the property for a new tenant. Make sure everyone signs using their legal name — the names and the signatures must match. Sometimes the lease is reviewed online and the negotiations are via email. That can make it hard to determine whether you have a signed lease. Don’t let e-signatures or online forms jeopardize your legal rights. 2. The security deposit terms are unclear. Many landlords find themselves in court over security deposit disputes. One issue that comes up frequently is the actual amount of the deposit. Also, questions arise over whether a separate pet deposit was allocated, what the deposit is for, and when it is to be returned. Security deposit laws are regulated by each state. Make sure you are not charging more than the law allows, and that the return policy is in line with state law. The lease should provide space to list the dollar amount of the deposit, what it’s for, and when and how it will be returned. Other disclosures may be required by state law, for instance, whether the deposit will be held in an interest-bearing account. Be sure that the security deposit is clearly delineated from any other fees, especially any non-refundable fees. 3. The lease is not tough enough on crime. More and more cities are passing ordinances making landlords responsible for tenant crimes and disorderly behavior. In many cases, these laws require landlords to take legal action against a tenant in order to avoid fines. It is important that the lease give the landlord that flexibility with problem tenants. Rental laws vary greatly from state to state — everything from caps on security deposits and late fees, to interest on deposits, to limits on application fees. 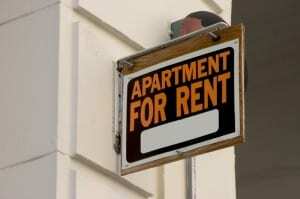 It is always a good bet to look for rental forms that are state-specific and have been reviewed by local attorneys. AAOA’s new Landlord Forms Page is an excellent source for lease agreements and a slew of other landlord forms that are easy-to-use, turnkey, and will help you protect your bottom line.